Estonia is on track to become the first nation to meet the EU’s target of providing 20% of its final energy use from renewable sources, according to new Eurostat figures released on 26 April. Across the continent, energies such as wind, solar and biomass contributed 13% of Europe’s total energy consumption in 2011, up 0.9% on the previous year. The highest shares of renewables were found in Sweden, Latvia, Finland and Austria but the EU has set countries different individual goals according to their circumstances, and only Estonia exceeded theirs. Since 2011, Estonia’s share of renewable energy has risen by two percentage points and currently stands at 14.9% of total consumption, according to the Tallinn-based grid operator Elering AS. This was largely down to increased biomass production, which has been criticized for its potential to increase carbon emissions. But wind output also rose by 23% due to three new wind parks. As the debate over 2030 renewables targets heats up, the European Wind Energy Association (EWEA) said that forward planning through binding obligations was needed if the momentum was to be sustained. 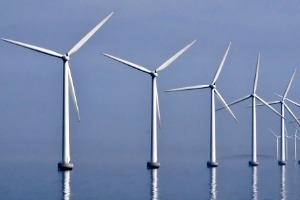 “We need a legally binding target for 2030 to be sure that the 2020 target can be met because without such a goal, the European Commission has learned that annual investment will slump from 6% to 1%,” said Peter Sennekamp, a spokesman for EWEA. Wind power currently makes up around 7% of power in Europe’s electricity sector, but that share will need to double to 14% by 2020, if EU countries’ National Renewable Energy Action Plans are to be met. That in turn will require the installation of 13GW of new capacity every year between now and the decade’s end. Renewables laggards, according to the latest Eurostat figures include Luxembourg, Malta, the Netherlands and the United Kingdom. The EU’s Green Paper for 2030 climate targets mentions a potential greenhouse gas emission-reduction target of 40%, and does not close the door on a 30% target for the proportion of energy that renewable energy may make up by 2030. But the consultation document suggests that progress on a new energy savings goal be delayed until after a review next year of progress towards reaching the bloc’s 2020 target, despite recognising that this is non-binding, and unlikely to be met. A communication is expected by the year’s end on the subject, and proposed 2030 climate targets may change. No formal proposal is expected until after 2014 though. The EU currently has three 2020 climate goals – for 20% improvements on the continent’s CO2 emissions, renewables and energy consumption performances. This latter is to be met by a variety of means.